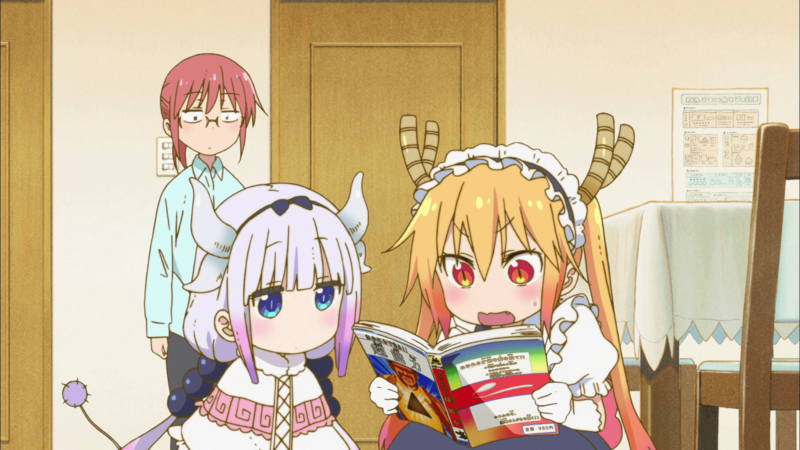 Miss Kobayashi’s Dragon Maid has been generating waves in the anime community this season, most notably for its cute characters crammed into a comedy anime that focuses upon Kobayashi and Tohru, a dragon from another world who decides to live with Kobayashi as a maid and, in the process, bringing more dragons to the yard. Between the exuberant “CHU CHU YEAH” introduction and the overblown cheeriness, it’s kind of easy to see why this video managed to catch on. Just like the animated version, there’s a lot of energy and in the video, it’s through fhána’s Towana, who dances her way through the first stanza (somewhat expressionless countenance aside), before letting the blond sampler, Kevin Mitsunaga, to steal the show with his expressions and his moves as he grooves right along. The only way this video could have been better is if they maintained that scene in the anime’s opening visuals where people are spinning upwards. With this success, “Rhapsody of Blue Sky” has risen to beat out all other videos to become the #1 most-viewed video on Lantis’s YouTube channel, beating out the myriad of Love Live videos that have seemingly been their mainstay.